Scale and Balance calculate mass by measuring weight and compares masses by the pair of scales using a balance beam. The scales and balances are used across various industries for precision and accuracy, such as in construction industry, food and beverage industry, chemical industry and healthcare industry. The growing number of construction projects in the United States such as Angus L. Macdonald project, Boyers Mill road replacement project, Salesforce Tower in San Francisco and 6AM Development in Los Angeles tends to boost the supply of scale and balances for measuring the inputs, finished goods and waste in order to decrease the waste and maximize the productivity and efficiency. The major scale and balance types used in construction industry are truck scales, conveyor scales, floor and bench scales. Avery Weigh-Tronix is one of the major global players established also in United States, manufactures supplies and provides scale and balance related services all over the U.S. that covers almost every industry requirement related to weigh scales and systems. It also offers software solutions that is designed to work with the weighing equipment along with weighing intelligence and weighing data management solutions. Goldstein Research analyst forecast that the United States scale and balance market size is set to reach around USD 600 million by 2025, growing at a CAGR of 3.3% over the forecast period. The factors such as technological innovation in scale and balance, growth in end use industries, frequent quality checks and certifications such as ISO 9001 tends to impact the growth of United States scale and balance market. The report covers the present ground scenario and the future growth prospects of the scale and balance market for 2017-2025 along with the United States sales and United States revenue of scale and balance market. We calculated the market size and revenue share on the basis of revenue generated from major players across the globe. We have forecast the market on the basis of scale and balance manufacturers, suppliers and distributors. On the basis of product type, truck scale accounted for largest market share of 23.4% in 2017, on the back of its application across various industries such as logistics, construction and mining, which accounts for generating huge revenues. Further, with the internet penetration and advanced logistic facilities, online sales platform tend to grow at a CAGR of 3.5% over the forecast period. United States Scale and balance market outlook 2017-2025, has been prepared based on an in-depth market analysis from industry experts. The report covers the competitive landscape and current position of major players in the scale and balance market. The report also includes porter’s five force model, SWOT analysis, company profiling, business strategies of market players and their business models. United States scale and balance market report also recognizes value chain analysis to understand the cost differentiation to provide competitive advantage to the existing and new entry players. The advancement of technology has widened the application of scale and balances with the support of software solutions. There is trend of installing scale and balance system that includes both equipment and software. The software helps in getting real time data of production management system, errors related to weight and provides management solution. The rise in application of scale and balance system is expected to boost the growth of United States scale and balance market. The developmental activities such as construction, advanced logistics, mining and manufacturing are majorly driving the growth of United States scale and balance market. The Growth in these industries boosts the supply of equipment and related services, and further profits to the manufacturers and suppliers. However, use of scale and balances is highly dependent upon the consumer spending, freight volume and manufacturing output from different industries which hinders the growth of the market. Also the application of scale and balance in weighing small quantities requires to be cost efficient such as in weighing food and beverages products and baby weighing among other applications. 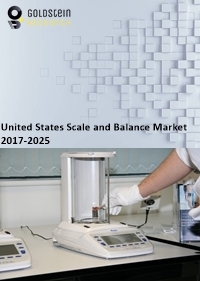 United States Scale and balance market report comprises of the following companies as the key players in the scale and balance market: Micro-Star International, Avery Weigh-Tronix, Minebea Intec, A&D Weighing, Adam Equipment, Optima Scale, American Scale, Sartorius Scales. What is the revenue of scale and balance market in 2016-17 and what would be the expected demand over the forecasted period?